Forgive these pictures. I normally try to wait to make and photograph food until the light is good but one night I came home from work and decided I AM MAKING WHOLE WHEAT PUFF PASTRY TONIGHT, LIGHT BE DAMNED! So....I did. Thusly the lighting in these photos is meh. 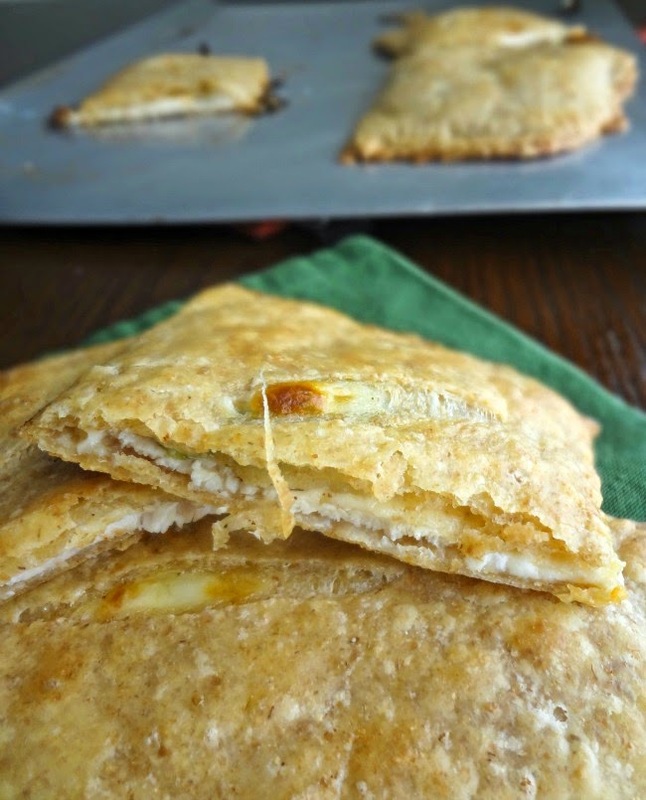 But stick with me because homemade puff pastry is awesome, but now...not only can you make it preservative-free, you can also make it WITH WHOLE WHEAT FLOUR! I mean...I'm not gonna say it's healthy. There's a lot of butter. But ya know...it's better. Don't be intimidated by the idea of making homemade puff pastry. It's slightly time intensive but only because you have to chill the dough a bunch of times-so you can do other stuff while the dough chills. You can do laundry, make other food, clean, watch TV....ya know...productive stuff. But the actual work put in is crazy simple. The hardest part is using your muscles to roll out the dough. Which isn't hard. If my wimpy arms can do it, so can yours! Then, once you've made your puff pastry, you divide it into thirds--or fourths (because a package of puff pastry is generally about 1 lb. and these recipe yields 3-4 lbs.--this will make it easier to use when you're making recipes that call for the storebought stuff) and then stick it in the refrigerator or freezer. Hooray! And when you bake up the pastry it's wonderfully flaky and buttery (although, sure, less flaky than with white flour) and has this awesome earthy, almost nutty, quality from the whole wheat flour. It's awesome. In an electric mixer combine flours and dry milk (or whisk by hand). Add in the cut up cold butter and either mix in with the stand mixer or use a pastry blender (or even just your fingers) until the mixture resembles coarse crumbs and the pieces of butter are pea sized. Knead the dough on a lightly floured surface until smooth and a little bit springy (for a couple minutes)--try to use as little extra flour as possible to avoid messing with the texture. Dough may seem extra wet/tacky at first, that's fine. 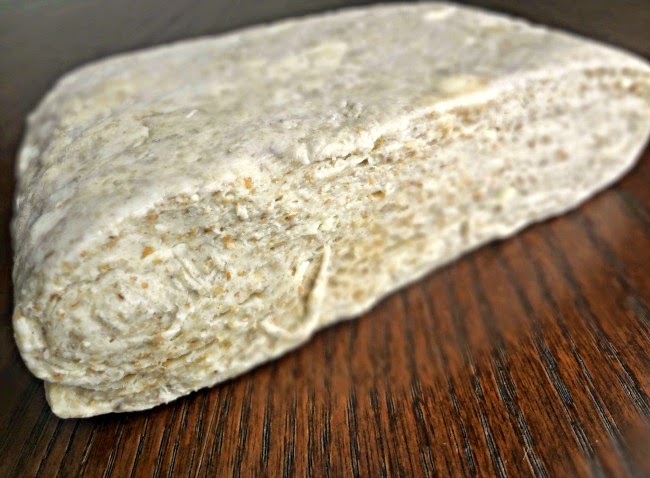 Pat dough into a 1 inch thick square and wrap in plastic wrap. Refrigerate at least 1 hour. To make the butter square combine the butter and flour and mix until smooth with no lumps (make sure to learn from my mistake and have the butter properly softened or else this will be difficult). Lightly flour a piece of plastic wrap or wax paper and add the butter mixture. Spread it out into an 8"x8" square. Cover and place on a flat surface in the refrigerator to chill for a minimum of 30 minutes. Remove the refrigerated dough and place on a lightly floured work surface. Roll into a 12 in. square. Place the chilled butter square on top of the dough at a 45 degree angle (a point will be facing you). Pull the flaps of each corner of the dough over the butter square, meeting in the middle (pictured above). Pinch and seal the edges (moisten if necessary). Lightly sprinkle some flour on top of the dough, then turn over and gently roll into a 10"x 20" rectangle. (checking the underside frequently to make sure it's not sticking and add flour if needed). 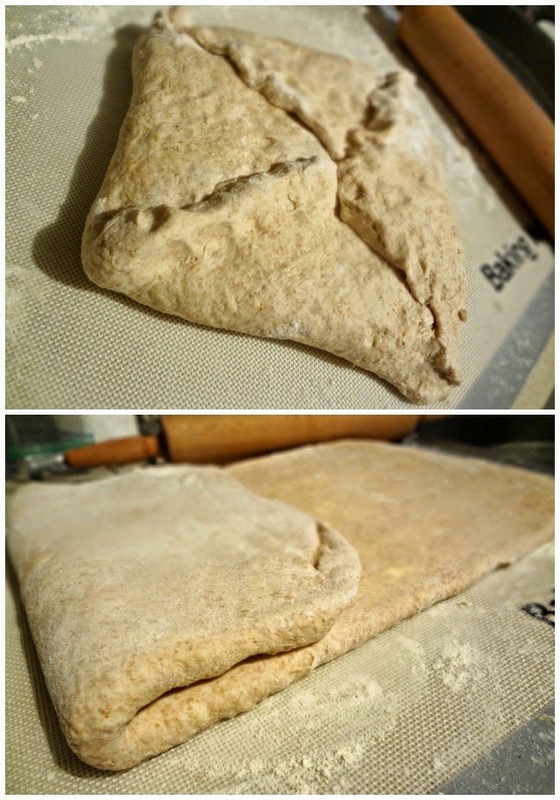 Brush excess flour off the dough and fold one third of the dough over and then cover with another third (like folding a business letter), line the edges up carefully.---this is the first "turn." 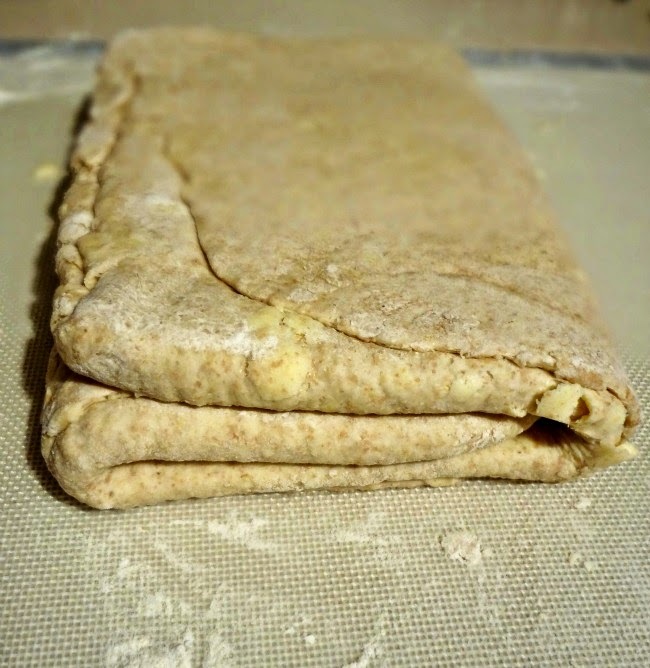 If the dough is still fairly chilled (which it should be unless your kitchen is very warm), repeat the process (roll out into a 10x20 rectangle, fold into thirds)--if it's too warm chill for 20 minutes and then do the 2nd turn. Oh yeah....and the recipe for these will be comin' at ya on Monday.